Hello my lovely readers! I’m still alive! I can’t believe how long it’s been seen I last posted but I have good reasons! I have finally moved house, wooo! I’m so pleased with it and can’t wait to have everything finished. The only downside is that we haven’t had the internet installed yet but all in due time. 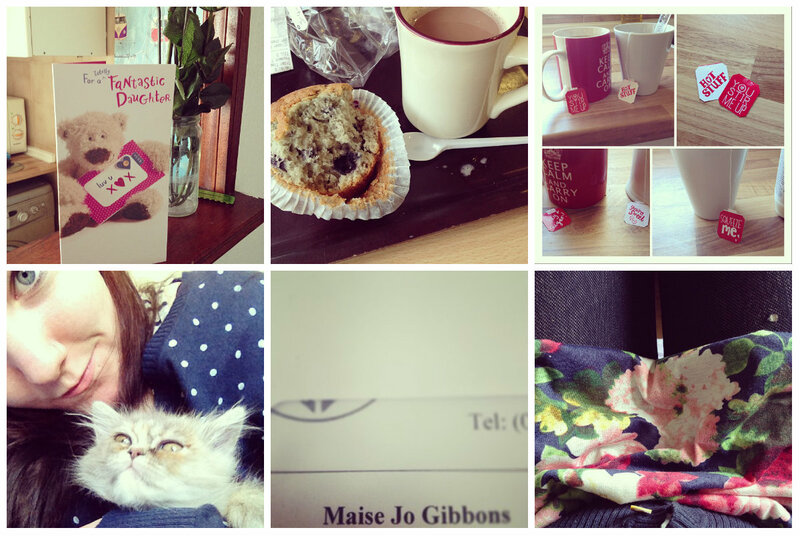 So what have I missed on the blogosphere? I feel really out of the loop whenever I come online, not cool. Here are a few pics from the last couple of weeks, it’s truly been hectic so there aren’t that many. It’s my birthday next week! // Blueberry muffin’s and hot chocolate ♥ // Cute tea bags to keep me sane // My boyfriends, mum’s kitty, adorable // Even the electricity board can’t spell my name right // Finally having sorted out my clothes to wear something half decent. I can’t believe it’s my birthday in just four days, the last few months have just disappeared, it’s crazy. I’m having a “dead celebrities” themed night but I still have no idea who i’m going as, oops. What else is new? I cute my fringe(bangs), I’ll make a point of uploading a photo eventually. My cat got fleas from the vet, not a happy bunny kitty. I learnt that Sambuca shots, no matter how much of a good idea they seem at the time, are not at all brilliant the morning after when they’re forcing themselves out of your mouth. My boyfriend got through to the selection process for the job he applied to! Okay so this isn’t exactly an interesting post, but at least you know i’m still kicking!